Zinedine Zidane made a shock announcement today that he is stepping down as Real Madrid manager in a press conference earlier sitting alongside president Florentino Perez. 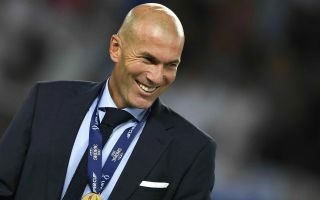 The news comes on the back of Zidane winning his third Champions League title, which is a joint record with former Liverpool manager Bob Paisley and Carlo Ancelotti. Zidane has had a remarkable career in management thus far, and never lost a knockout tie in the Champions League with Los Blancos. He also won a La Liga title; Spanish Super Cup; two UEFA Super Cups; and two FIFA Club World Cups during his two and half seasons at the club – which averages to a trophy every 17 days. The news has seen many names linked with the job at the Spanish capital and the bookies have installed former Arsenal manager Arsene Wenger as favourite for the job. Earlier today Wenger revealed he turned down the chance to manager there on multiple occasions – and interestingly – said he would like “to be tested” in his next venture. Could a possible move to Real be on the horizon? Or could the role go to Napoli manager Maurizio Sarri or Chelsea manager Antonio Conte?